It was an idea born in a coffee shop in Mission Bay on a warm winters day as Alice and I were discussing her brother Tom’s upcoming bicycle trip around Europe. While we both agreed bike would be a great way to explore New Zealand, I’m not sure if either of us knew if the other one was serious, or if we were serious about it for that matter. We bought ourselves Apollo mountain bikes. Not really sure how to test drive bikes we peddled around the car park of a few different stores. Lots of feature talk went on and we learnt a little more the questions to ask, but ultimately the bikes we got were a cool colour, and that obviously was an influencing factor. Shortly after we got light, helmet and a bike lock. All set for inner city peddling. This was an awesome part of the planning. 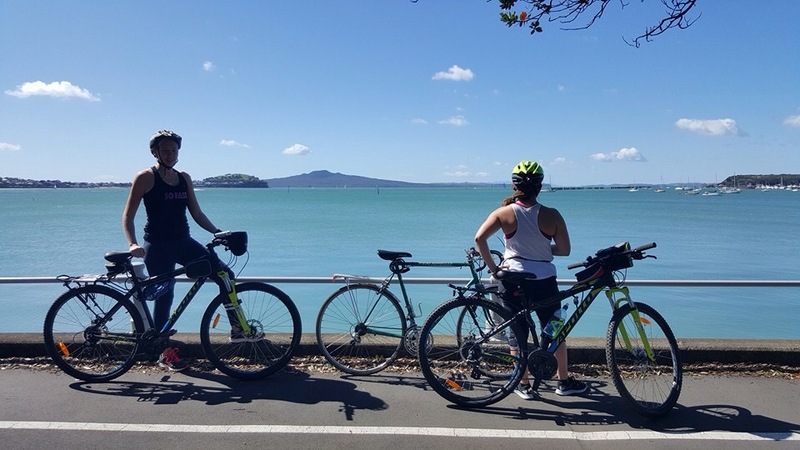 We took our bikes along the (pancake flat) route around the coast to St Heliers several times, a jaunt to Waiheke Island which had several thigh challenging hills and on every excursion, coffee and cake stops were carefully supplanted. Repair kit- pump, puncture repair kit, also stocked with hand sanitiser for post mechanic work. Tent- getting nice and cosy and sharing a two man. Our hunt focused around being as waterproof and lightweight as possible, whilst still being cheap. Bike clothes – 2 pairs shorts, 1 pair 3/4, 1 long pants, several bike tops and sports bras, 2 long sleeve thermals, hoody. Water- I opted for a 2litre bladder to carry on my bike, Alice opted for a bottle and bottle holder. Gadget 101 – an amazing freebie from work, a wind up torch which doubles up as an alarm, a radio and a wind up charger! 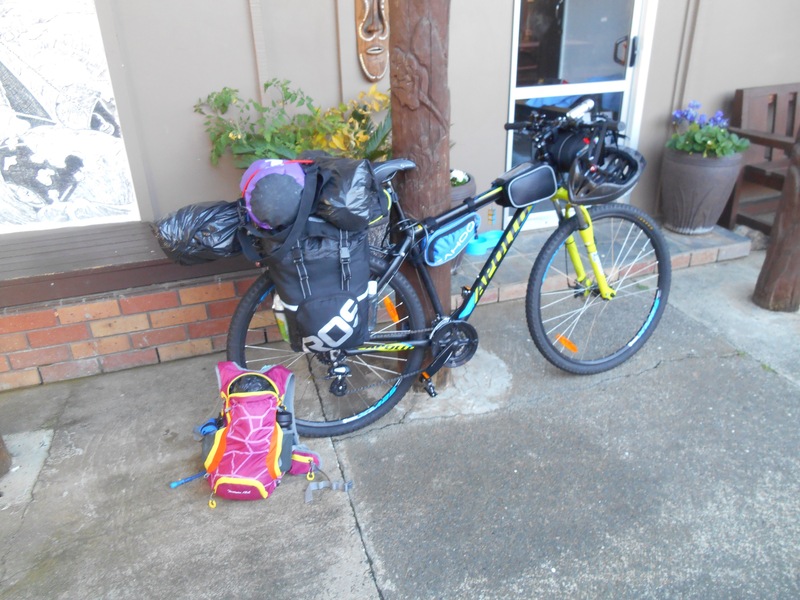 So with a kit list prepared we began to think about what was possible in seven weeks. Surprisingly, not a lot. Or maybe not surprisingly. The first few planning sessions really were more about scaling back expectations. 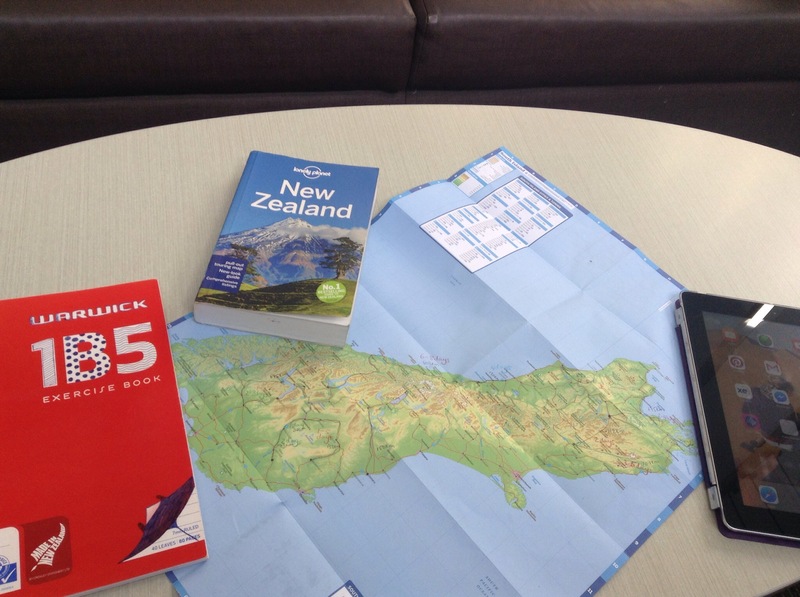 Every time we sat down with the map and guidebook it would be surprising how long it would take to get from a to b. Build in puncture time and sightseeing and it the time just goes. This was a bit disheartening but it really made us focus on the parts we wanted to see. 31st: Arrive in Leigh to meet friends for the night. 1st: After the RWC final, head back to Auckland. Savings went up and the days counted down and now we are ready to leave. Any last things you think we should squeeze into our luggage? Any tips before he we head out into the vast beyond?